Watercolor pencil is a fascinating medium that allows artists to create colorful and realistic renderings using both drawing and painting techniques. 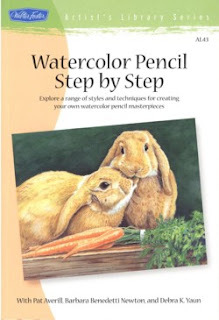 Watercolor Pencil Step by Step introduces the fundamentals of using this medium, complete with information on supplies, color blending, and special effects. Then professional artists Pat Averill, Barbara Benedetti Newton, and Debra Yaun guide readers through 12 colorful and intriguing lessons with easy-to-follow instructions and plenty of useful tips. Series specifications: Paperback, 64 pages, 6-1/2" x 9-1/2"